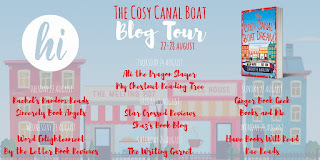 Delighted to be taking part in this Blog Tour for such a wonderful book! Trust me, you'll be swooning over handsome strangers with cute dogs and wanting to live in a canal boat once you've read this book! And there we go! That's how easy it can be to write a book I thoroughly enjoy and highly recommend!!! 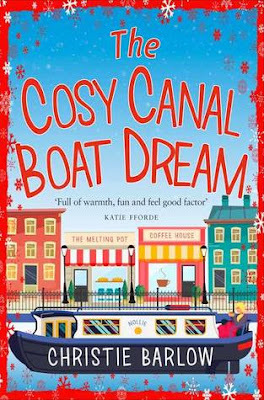 In this story we are introduced to Nell who had the perfect life, living in her dream home - a canal boat - in the idyllic setting of the Little Rock Marina, with her husband Ollie. And then Ollie never comes home one evening after going out for a motorbike ride and her life is devastated. We rejoin her 2 years later as she tries to move on but the loss is still hard for her to take. She has a wonderful support network around her and that includes her best friend Bea who runs the local cafe where she works part time. Bea is married to Nathan and they have the cutest son, Jacob, who brings a smile to everyone he meets! And then things change! A handsome stranger comes into Nells' life and there is an instant connection and life starts to look up again for Nell! And then an opportunity to recreate some memories from her past with a new business venture appears on the horizon - is everything finally beginning to look up for Nell?! I loved all the characters that we get to meet in this story. They all have such warm personalities that you can't help but fall instantly in love with them, and wish them all their own happy endings! The setting was perfect and really added to the community feel of the book. 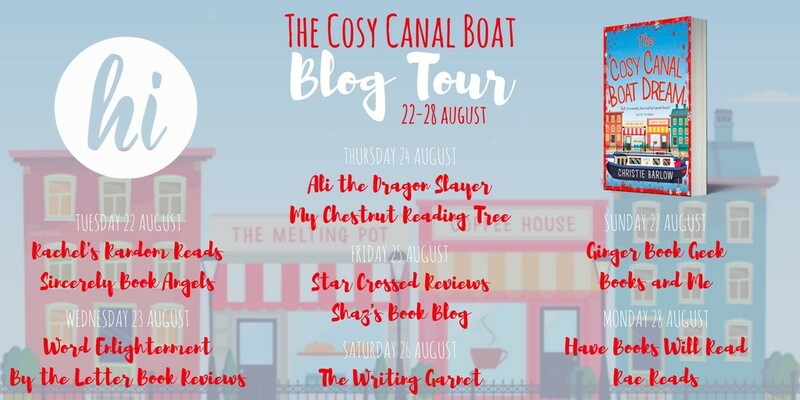 And alongside Nell and her story, the story of Bea and her family was also one that was really had me hooked as a reader and I really felt part of the community as their stories were told. Thank you to Netgalley and the publishers for my copy in return for a fair and honest review.